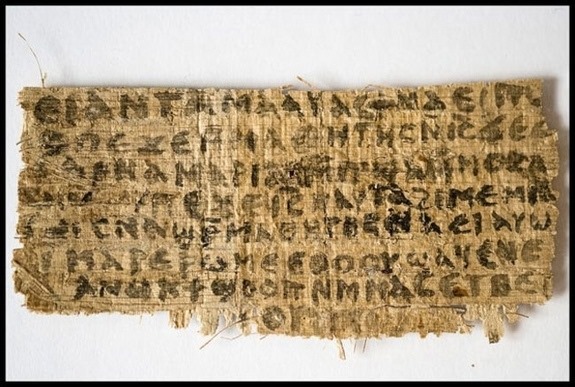 Why waste time with a papyrus that will tell us nothing? Karen King may be a respected scholar but everyone in the field knows what her beliefs are. That is where the agenda lies. Will the anonymous owner please stand up? We don’t need more cases like the James ossuary. So let us continue with what is genuine and important: the book called Acts. Some tie back this came up amongst a few different folks I know and I did not nor would not accept the theory. In my untrained Catholic mind, Jesus as the Son of God Almighty had/has no need for a wife and kids. He is the 2nd person of the Holy Trinity – God the Father, God the Son and God the Holy Spirit. No place in the New Testament is a wife of Jesus spoken of. If Jesus was married, surely it would be shown there. He was not married. Already debunked they just make stuff up.